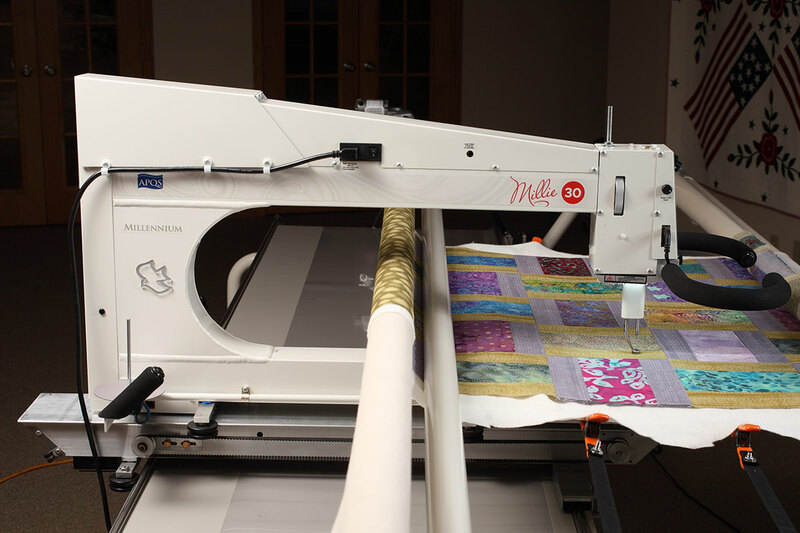 Our Millie30 has all the features of our top-of-the-line Millie machine PLUS four extra inches of throat space! 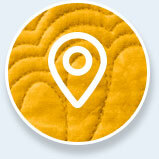 With a deeper throat you’ll be able to complete quilts faster and incorporate even bigger design elements. 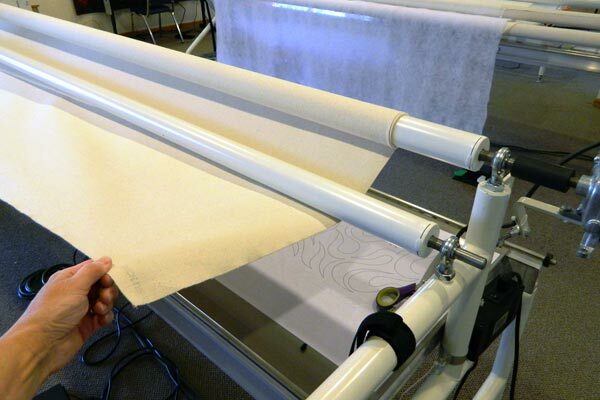 This timeless, treasured longarm machine will bring you a lifetime of quilting enjoyment. 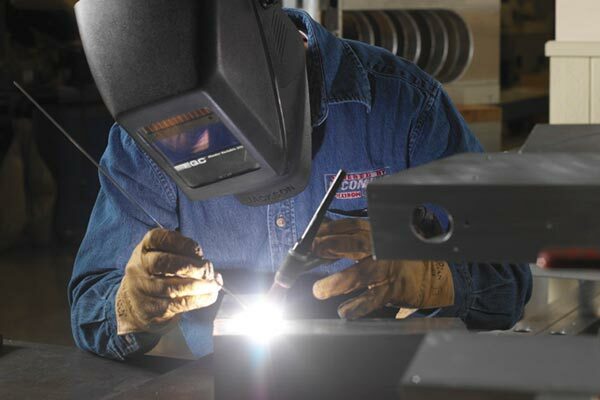 Simple touch pad and control buttons on the front and back of the machine make it easy to quickly learn how to operate your machine. 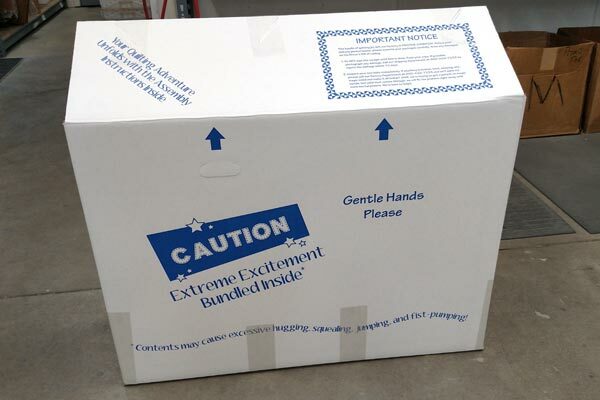 Simple touch pad and handle-mounted controls on the front and back of the machine let you operate and control your machine with the touch of a button. 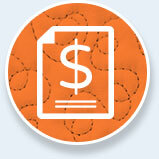 You will be able to complete projects faster and easier than you ever dreamed possible. Our Touch Pad Controls come standard on Millie, Millie30 and Freddie. Image is of Millie or Millie30 Touch Pad controls. 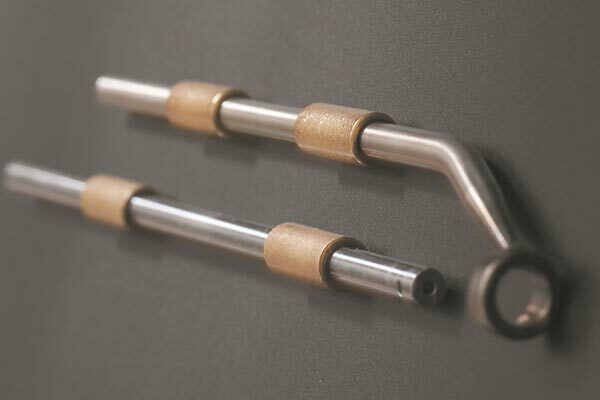 Our low bobbin indicator lets you know when it's time to change your bobbin. 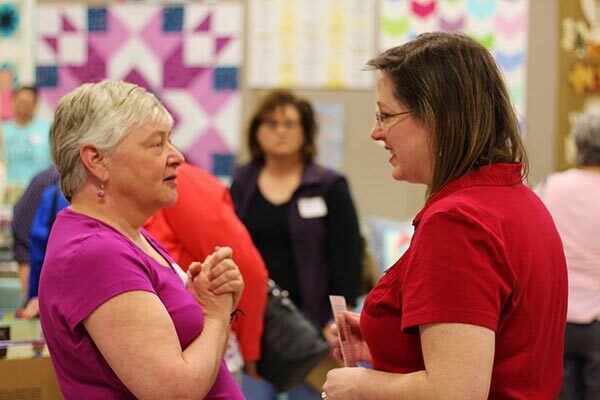 You will not have to worry about quilting a design, only to discover you ran out of bobbin thread several blocks back! 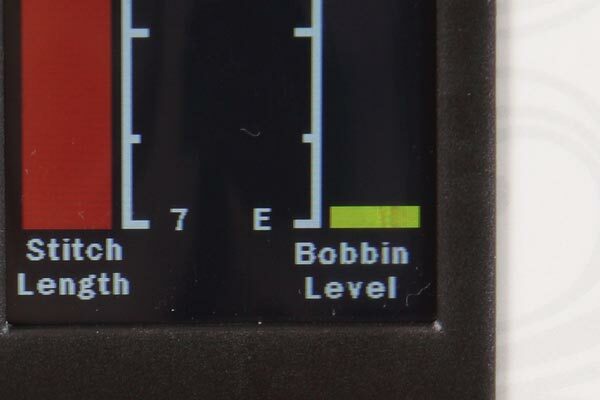 The low bobbin indicator alerts you, so you can change it in plenty of time. 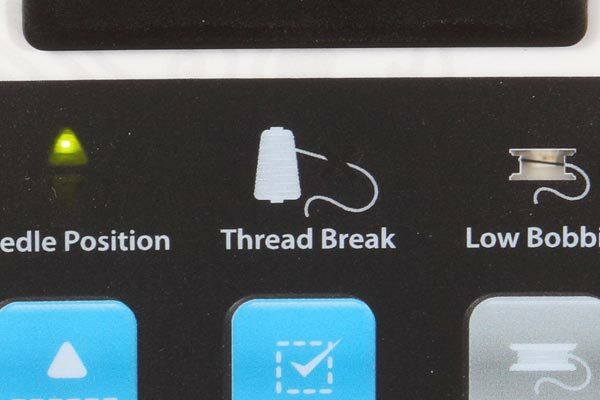 The top thread break sensor alerts you if the top thread breaks so you can quickly get back to quilting. 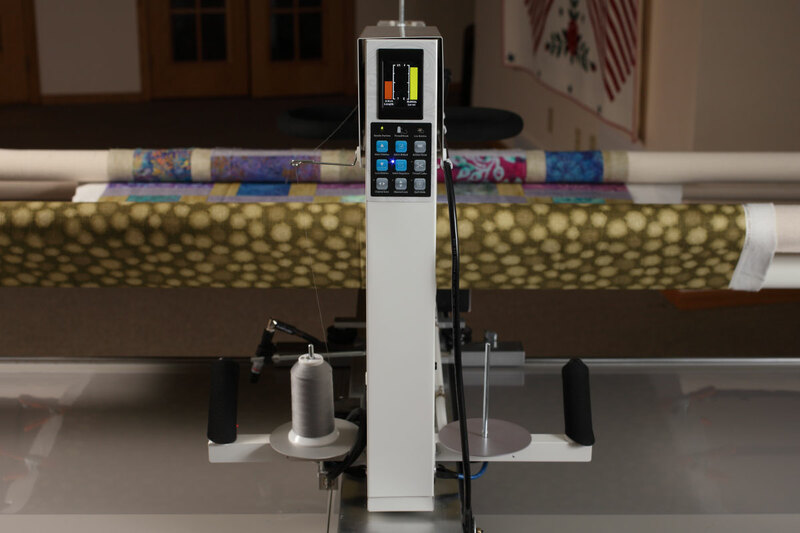 Whether you’re working on the front or back of the machine, an audible alert and visual signal let you know if your top thread breaks so you can quickly get back to quilting. 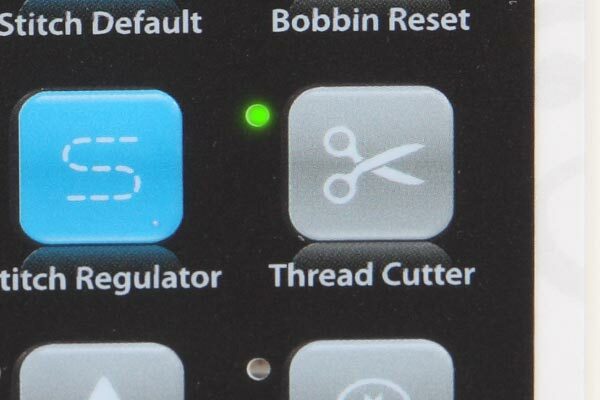 This exclusive Millie feature lets you cut your bobbin with a simple touch of a button to quickly swap out thread colors and move to a new area of your quilt. 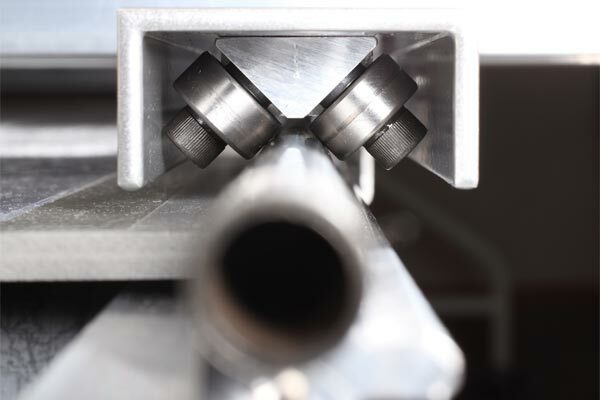 Your wheels can be locked electronically to accommodate both straight-line horizontal and vertical quilting. 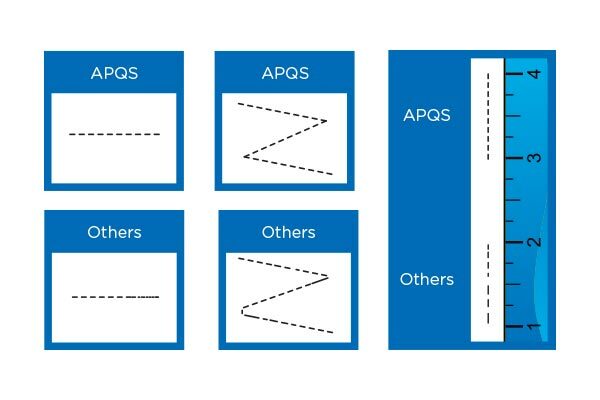 Easily baste quilt tops and sew straight horizontal or vertical lines with precision. 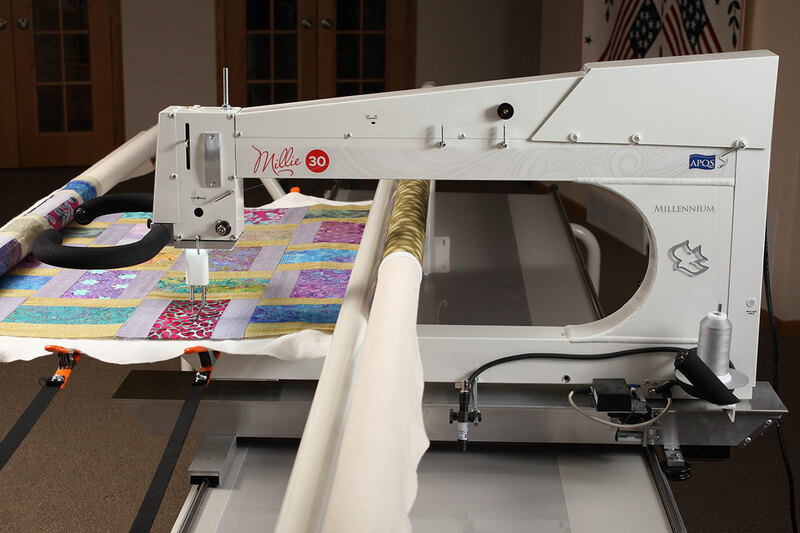 By pressing a single button, you’ll quilt perfectly straight horizontal and vertical lines with this exclusive Millie feature. 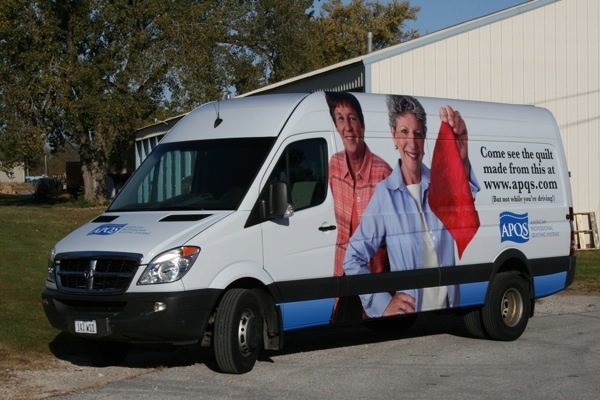 Easily baste quilt tops and keep loaded quilts straight as you work. 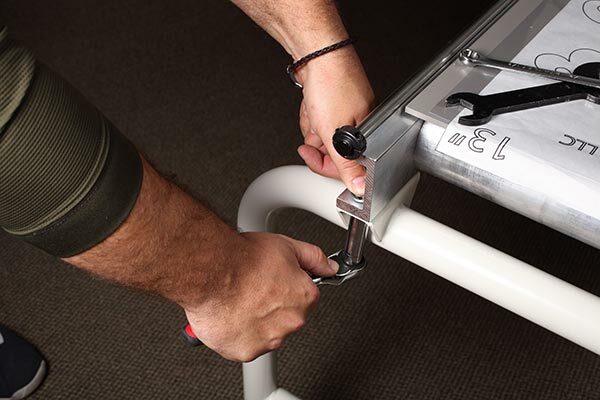 The 8', 10', 12' or 14' foot deluxe table with adjustable height lets you dial in the perfect height for you. The 8-, 10-, 12- and 14-foot deluxe table with adjustable height offers great time-saving features to make your quilting fun and easy. 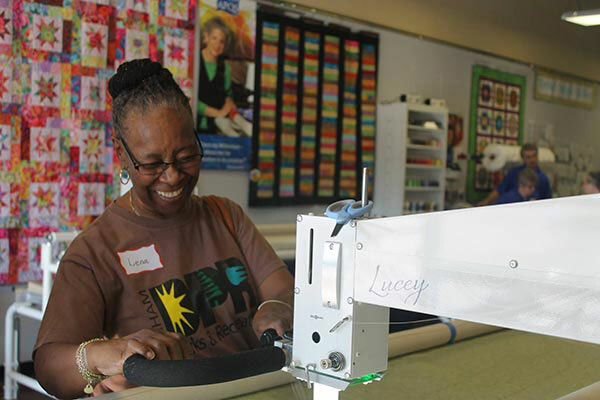 Our sturdy, full-length rails and poles are built without junction points, allowing you to quilt smoothly across the entire frame. The quilt top, batting and backing all load from the top so you can easily change your bobbin in the middle of a quilt, or even quilt while sitting. Photo shows Millie on Deluxe table with Overhead lighting ($795). 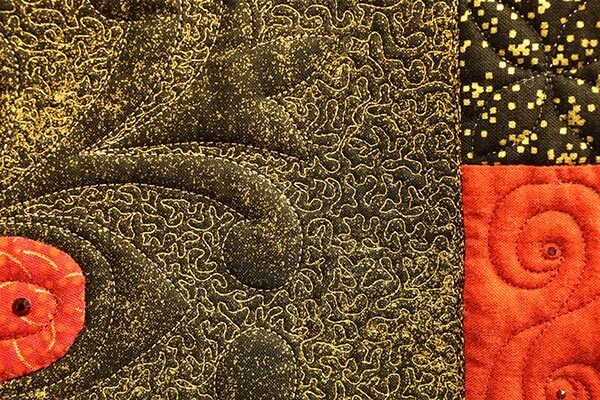 continues to stitch when Quilt Glide is on, you’ll feel like you’re gliding through your design like smooth pen strokes. 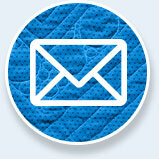 Add the Quilt Glide Stitch Mode feature to your new Millie, Millie30 or Freddie for only $1,250. 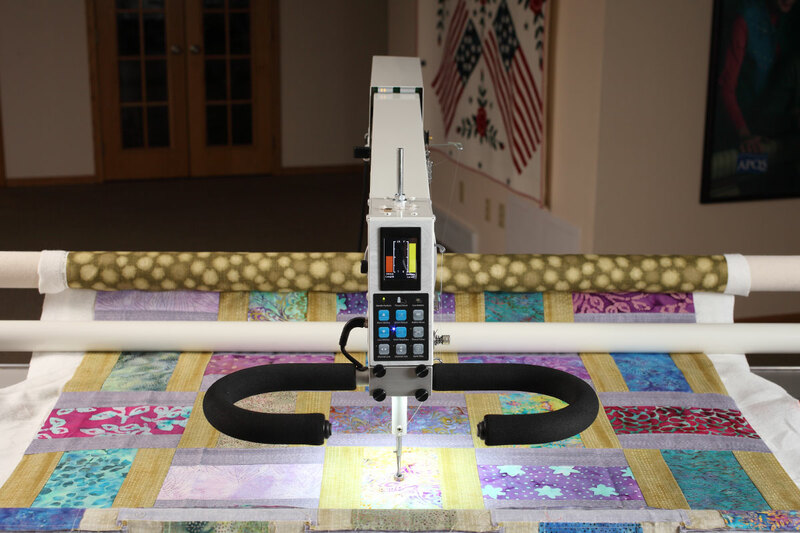 The Automatic Quilt Advance with foot pedal control lets you advance or back up your quilt with the push of a button or a toe tap on the foot pedal. 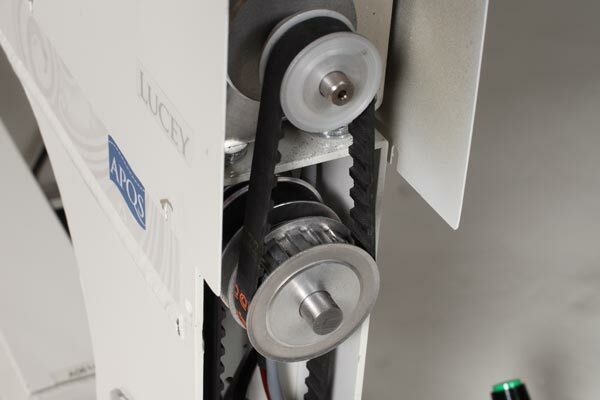 The motorized advance turns the take-up roller to move your quilt ahead, saving time while also keeping the quilt layers smooth and aligned. 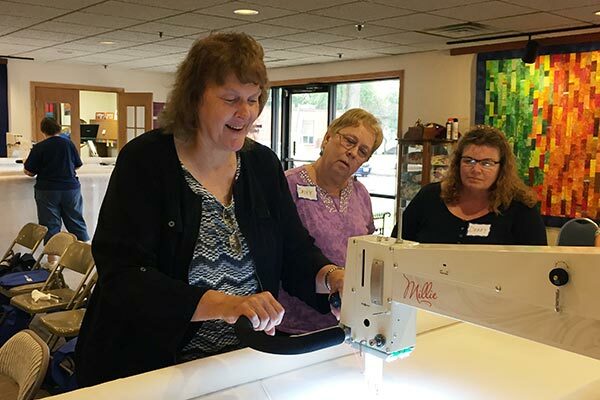 The Automatic Quilt Advance can be added to the Millie, Millie30 and Freddie machines or when Lucey is upgraded to a Deluxe table for $1,350. 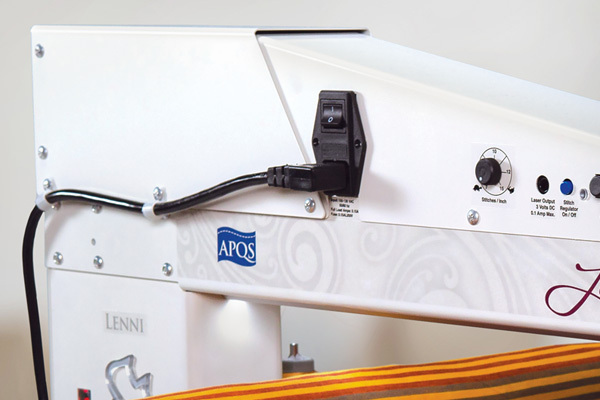 The Automatic Quilt Advance adds an additional 8 inches to the width of the machine footprint.